Every year it seems like the holiday excitement (or craziness) begins earlier and earlier. Us teachers have to be on our toes constantly to get our students to pay attention in class when all they can think about is their upcoming school break and all of the fun things they're going to do during it. 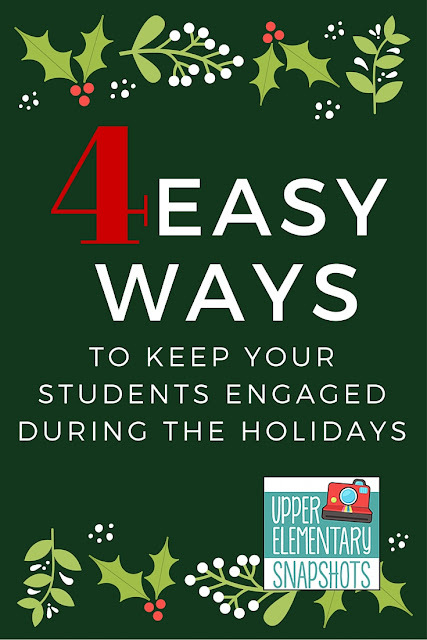 Whether you're a new or an experienced teacher, these four activities can help your students stay engaged during the holiday season! Incorporate their holiday transitions into your lessons as much as possible. Talk to your students and find out what they do during this time of the year. 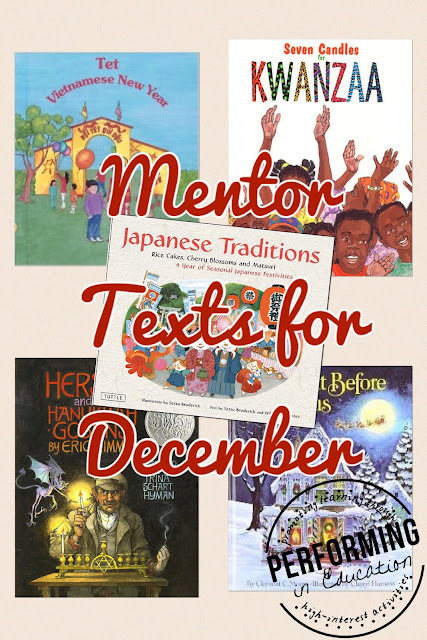 This is valuable information you can use to plan your December lessons. You can incorporate something small into each lesson, even if it's just a some fun clipart of a Christmas tree or a dreidel on an assignment. It's all about novelty! I love to read books about different holiday traditions. Even though I have upper grade students, I can fit these in during mini-lessons on writer's craft or any of my literature standards. It shows students that kids all over the world celebrate differently, and that's ok! Students enjoy learning about new traditions and getting a chance to talk about their own. We also begin our Holiday Cookie Exchange in Math. 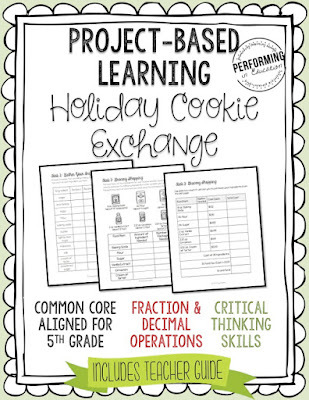 During this unit students use some of the math skills we've learned this year (fractions and decimals) and their critical thinking skills to choose a cookie recipe and calculate the ingredients based on the number of people attending the exchange. We end the project that last day before winter break with cookies and hot cocoa! Go on Pinterest and search "holiday kid craft" and you'll get millions of results! Refine your search by searching specifically for a craft to go with the standard. You can find a lot of great activities for math and even some holiday science experiments. 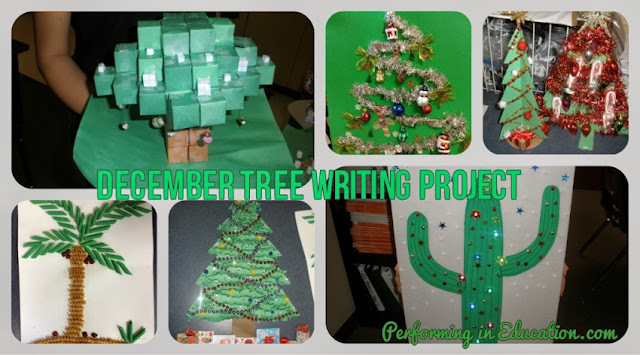 Every December I do a descriptive writing unit where each student designs a tree. I send them home with a large piece of green card stock and let them be creative! I've gotten many Christmas trees, a few cactus, and even a 3D Minecraft tree. When they bring it back we use it for all sorts of writing activities. They choose a tree to describe one day and another day they write a How-to speech on how they created their tree. During December I take all of my games (mostly centers, but some whole groups!) and modify the theme. I make their spelling lists a mixture of holiday words and some general words they're struggling with during writing, and I create word searches from those words using a free word search creator. Add some snowflakes or elf clipart and you've got them interested! 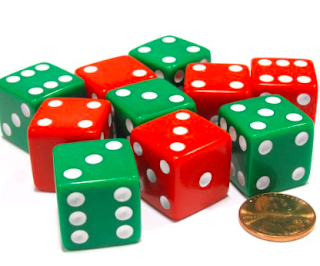 Any dice games you use during math can be changed to a holiday theme by changing the name of the game and changing the dice to green and red ones. It might seem like small changes to you, but everyone needs things shaken up a bit! Play holiday music to get students moving when finding partners or doing think-pair-share. Play it low while they're writing to add some holiday spirit! I prefer instrumental music during writing time, but sometimes we just need some fun holiday music. Check out this list of holiday stations and play a different station each day! There's a lot of different types of Christmas music and one for Hanukkah. And lastly... enjoy yourself! I know it gets stressful around the holidays, but appreciate the fun activities you get to do with your students during this time. After New Years, there's only a few small holidays left to celebrate in this school year!